The day is wonderful today and I’m in high spirits and how are you? I hope all is well. Yesterday I was in a bad mood. It was rain all day long. I’ve already told you that I live in my own house. It’s very beautiful and comfortable, but it’s too old. I’m disappointed that during the rain water goes through the aperture in the roof and makes the house full of water. I asked a specialist’s help, and he tried to repair some parts of the roof for many times but it didn’t help, because it’s necessary to repair the whole roof, I have to change the roof. And yesterday I come to the conclusion that I have to do it as soon as possible. My girlfriend Marina promised me to help. She always helps me. I’m very glad to have such a girlfriend. She is very close to me and we often spend time together. Marina says that I need a man who will help me and who will really love me. You know I really feel lonely very often but I believe in god luck. I believe in God, he always helps. I don’t remember if I told you or not about my dog. Its name is Chipa. He the boy. To him 2 years. It is very handsome. I like to play with it, I like to feed it, so I like to take care of it. Chipa is very tender, and it loves me too. Every evening it meets me near the house. You will laugh at me, but I must be sure that somebody or something waits for me in the house, no matter if it’s just my dog. I heard if a person has a pet in a house and if he takes a good care of it the person is a very good house keeper. Marina has a dog at home too, and our dog like to play together. But sometimes dog fight. I’m sorry that I pay too much attention to it in my letters and may be you are not interested in it at all, but I want to tell you about the dearest living being in my life. Not so long ago I was in a cinema. Because this session began late. I and Marina looked “Wedding Weekend”. This very entertainment american movie. I like this movie. Marina was delight also. After arrival from cinema I to cook my favorite a dish - pancakes. I made it with jam a gooseberry. Very tasty. It's a pity, that I cannot treat you. Probably during week I will prepare for future house repair. I’ll look for people who will help me with it. I imagine my house after repair It will be very cosy and nice, if everything will go well. I’m sorry, probably my letter is sad but I think you’ll be interested in thoughts and feelings. I send you photos me with my favorite dog Chipa. You have animals? You can send your joint photo? Tell me, if something will be interesting for you. I’ll tell you it in detail. With best regards. Thank you very much for your letter. It brightens my day. I hope that you have the same feeling when you receive my letter. And of course, I enjoy our correspondence and I am serious. I consider you to be my friend, I think that you understand me in lots of things it's easy for me to talk to you on many topics. You can ask me any questions you want. I think that trust is very important for the relationship, if both of the partners want the relationship to grow. No relationship can be strong without it. Thank you for being honest with me and from my side I can say that I will be honest with you also. I think we should try to tell each other as much as we can. I would like to know you better from inside, because you seem very interesting to me, so I have a question for you: What qualities do you appreciate in people the most? In my opinion, honesty, faithfulness, kindness, sincere and understanding are very important in people. I also think that in every relationship trust plays the main role. That's why I think that 100 trust should be between man and woman, they should be able to say every single thing to each other, share all their joys and sorrows. If they have a problem they should try to find a salvation together. What do you think? What is your opinion? And feel free to ask me anything, I'll answer you with great pleasure. Thank you very much for your letter and your tender words. You are so sweet to me, it is so pleasant read your letters. When I close my eyes I can see you saying this to me. It makes me feel very good. Even though we are far from each other, in my dreams we together. We are walking together at some nice place in and saying tender and warm words to each other. I feel that you are very special to me. You know , I don't think that the outside beauty is the most important thing, you can be beautiful for some time, even the most beautiful. But in some years this beauty will go away, there will be other people who will look better. I think that the real beauty is inside your soul. The person should be beautiful from inside, in my opinion. Don't you agree with me? , I see in you the person who I can talk easily with, who is interesting for me. I would like to know your soul, I would like to know everything about you. I see that you are not playing with me or joking. Many of our thoughts are the same, our values are very close and we are looking for the same things. I see that I can establish the emotional connection with you. I can talk to you on any topic. It's very easy for me, it seems like I know you for a long time. I like your thoughts about life and relationships between man and woman. By your letters I can say that you are a decent man with serious intentions. I like that in you. I think that we are even a little bit alike in that. I am also serious about our correspondence. I like to read your letters and I think that I will really like to talk to you in person, you seem to be an intelligent and well educated person. OK , I am finishing my letter now and I hope that you are having a great day. I am thinking about you and I am really happy that we've met. This thought makes me smile. Hope to hear from you soon. It was very pleasant for me to receive your letter. I am very happy that I've got acquainted with you. We started our correspondence not long time ago, but I like your letters so much, it seems to me like I know you for a long time, your thoughts are so close to mine. I hope that in the future we will become very good friends or even more. Age not so important question for me. More important thing for me - private world. in qualities, in beauty of the person, wisdom and how much interesting it for me. I think, that with the years the person to become only more cleverly. And it has rich life experience. I wish you to ask about one that you did not worry because of our age difference. First of all, I wish to find such person with whom we will understand each other. I wish to find such person with whom I will be ready to get married. I want serious relations. I do not want that our correspondence interrupted because of such small problem as an age difference. You know , I was thinking a lot about my future life and I think that I would like to move to another country to live, there are few reasons for that. I can tell you why. First of all I should say that I want stability in my life. I think that it’s very hard to get this here in Russia. There are several reasons for that. I don’t have anything against Russia. Russia is a wonderful country, that’s my Motherland and I love it, but the economical situation here is very bad, you can’t be sure in the next day, but I am thinking about my future. And there is a second reason for my intention to move to live to another country. I would like to find my soul mate, the person I can trust completely, the person who is going to be near me all the time, love me and take care of me. Russian men have lots of bad habits, they drink a lot. My dad used to drink a lot. It gave my mom much pain. I don’t want this to happen to me. So, I think now you understand why I would like to move somewhere from Russia. I would really like to have a good and strong family based on good emotional connection first of all and understanding and surely love. I think that these things are the most important. I would like to have my second half near me to feel that I am safe, that I am loved and that I have a person near me whom I can give all my tenderness and care that is inside of me. I do have a lot to give, but for right now there is no one special whom I can give it to and I don't want to waste it just for someone, I want to meet my only one, my special one. I am thinking a lot about you, and I would like to hear from you soon. Ok, I am finishing my letter now and I will be looking forward to your fast reply! PS. You have forgotten to send me your photo. I hope in the following letter to receive your photo. I'm very glad that you have written to me. I need your letters more and more often. They make me happy. I was determined with work in clinic! I shall be the surgeon. I shall soon have holidays, I shall work as the senior surgeon. Hope, that you is glad for me because the surgeon is my favorite trade. Today I have been late for work. When I woke up in the morning, my neighbor came to me. She is an old woman and she is a very good and king woman. We address each other when we need something. Today she came to me because she had a problem. The door to her house has been broken and she couldn’t close it. She lives alone as well, her husband died 5 years ago and now nobody is ready to help her. So, I went to have a look at the door. We tried to repair it but we could do nothing. I am a bad carpenter (smile). As it turned out something was wrong with a lock, it was necessary to ask a specialist’s help. 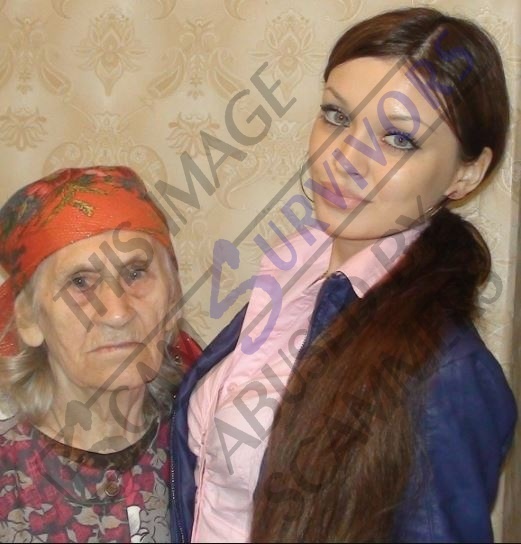 Klava (this is my neighbor’s name) was very disappointed, what we could do, we are women, and it was clear that a specialist’s help was necessary. I tried to calm down my neighbor because she doesn’t feel well and it’s very dangerous for her to be nervous. She had to be hospitalized, but she refused to do it and now she has to take injections every day. I promised to ask for a carpenter. In our clinic there is a man, who is responsible for repair, if something is wrong with the clinic. He drinks alcohol a lot, but he has “golden hands” (in Russia it means that a person with “golden hands” can do all the things very good) I want to ask him to help my neighbor with her door. I want that he attempt to repair my roof. I do not know whether he will agree. I shall hope for his help. I can’t find him now but as soon as I see him I’ll ask. It is very important to help old people. More than it our government doesn't treat old people well. Pensions are tiny. They don’t get any social aid. Our medicine is not free of charge. Old people have to spend all the money on medicines. Of course it is not good, it’s unfair, unjust. But the economic situation in Russia is not highly developed. Well I am not interested in politics but the question about social aid is very important for me. I do not remember I wrote to you about my diploma? I have the diploma the Europe-standard. This diploma entitles to work as the doctor in your country. Thank you very much for your letter, I was very glad to receive it as usual because your letters always put me in a good mood and make me smile. I am thinking a lot about you and I like to read from you. I am very glad that you understand me. You the unique person which to worry about me. You know, I need to tell you something. I think that friendship is very important in the relationships. Let me explain what I mean here. I think that passion and affection are very good, but two people that decide to be together need to know how deal with each other in everyday life. You know what I mean? And I think that friendship between them will help a lot. I would like to see a very good, I can say the best friend in my soul mate. I think that emotional connection is very important, so that two people will feel very comfortable with each other. How do you think? When I am reading your letters , I feel that you are honest and sincere with me, you are telling me a lot about you, so I want to give you the same thing. You know, I have a dream. I would like to find a true love, a special person who is going to love and take care of me and I will do the same for him. I want our love to be forever. I think that when I meet that special one I will give him all of my tenderness, care and love. And what is your dream? What do you want the most from life? Please, tell me. It will be very interesting for me to know what you are thinking and dreaming about. You know , I need to tell you something. I have never thought before that this is possible to find a very good friend, somebody special with the help of Internet. But now I can say that this happened to me, I’ve met you and it seems to me like I know you for a long time even though we exchanged only a few letters. Now I can say that there is a person in the world who understands me, my life position, whose dreams and intentions are close to mine. You should know that you are dear to my heart, I am always ready to listen, understand and try to help you if you need that. Ok, I am finishing my letter now and I will be looking forward to your reply!!! Now I'm writing to your letter and I'm happy. It's very pleasant that I have such the close person as you are. It's a pity that you are far from me. But I will hope that we will meet one day. I think we will be glad to see each other when we know each other better. Marina asks me about you every day. I say to her that I'm constantly thinking about you. Earlier I didn't manage to find the carpenter. But today I have seen him in the morning and I asked him to repair the door in the Klava house. In the afternoon he came and said that he had done everything and changed the lock. I thanked him but he said: "Never mind" because he is always ready to help old people. My neighbor came a little bit later and told me about the carpenter. It turned out that he refused to take money for his work. Klava tried to give him some money but he said that he would be offended if she didn't stop doing it. Klava said: "He has gone with nothing". By the way he and his college will repair my roof in the house. You know many people in Russia help other people and don't take money for it, if they know that the people have to money. I think it's the only good feature of character of the Russian people which roots go to the old far USSR. It's a pity that many Russian men became alcoholics. I remember that many-many years ago my mum and I had to make a fence around our house. But what could we do? Mum and I? When my mother came to a shop to buy nails, three men asked her what for she needed nails. She told they and they began laughing, when learnt that a young lady and her little daughter wanted to do. They came to our house together with my mom and everything was ready in the evening. They refused to take money. The only thing we could do for them just to feed them with pancakes after their work. By the way since that time it is my favorite food. One of the man asked if the had something to paint the fence. My mum answered that she would buy paint a little bit later. Next day in the morning the 2 men came and they brought their own paint and painted the fence. We wanted to pay them for it some money, but they refused. They said that the paint was left after the painting of their fence. Yesterday in the evening I was thinking of my future work in the clinic. I'm happy that I will get my favorite job. I should not study, because I have the diploma of the surgeon of the European standard. I don't know how to spend this month, I don't want to waste my time useless. I must think it over. Of course I will write letters to you. But it will take only the part of my day. What to do in the rest? I must find a decision. I hope, you are not sick and tired of my letter. But I want to tell you much. I think you are not against of it, because I suppose you are my closest the man of my heart. Don't forget to write letters to me. How are you doing today? What’s new? I am fine over here and I was very glad to hear from you because I miss you very very much!!! I am thinking about you all the time, you are very dear to me. , you know, today I woke up with sun beams that were coming out of my window and my first thought was about you! I was laying in my bed and thinking, imagining that may be some wonderful day we’ll be waking up together like this and the first thing you will do when you wake up is kissing me and wishing me a good morning and I will do the same for you. You know, I liked that thought. Who knows, may be some day it will be the reality? How do you think? Would you like that, hun? How are you? Today I've the big desire to write to you. Hope you don't object? my dear , you what not to read wash letters?? I wrote you answers to these questions!!!! why you again set them??? Age not so important question for me. More important thing for me - private world. in qualities, in beauty of the person, wisdom and how much interesting it for me. I think, that with the years the person to become only more cleverly. And it has rich life experience. I wish you to ask about one that you did not worry because of our age difference. First of all, I wish to find such person with whom we will understand each other. I wish to find such person with whom I will be ready to get married. I want serious relations. I do not want that our correspondence interrupted because of such small problem as an age difference. I suppose I can tell you about my bad experience in relations. If you are not interested in it you may stop reading the letter. I won't be offended. I think I can tell you the story because you have become very very close to me recently. I hope you have an idea of the problem with alcohol in Russia and I suppose you understand why I don't want to look for a husband in Russia. Let's begin since the very first day of the acquaintance. I worked in the clinic as a surgeon's assistant. I was going home after my work but it began raining and I could not go because I had left my umbrella at home. It was summer but never the less I didn't want to get wet and to take a cold. I was standing under the roof of the building waiting till the rain would stop. But the rain was not going to stop and I wanted to go home in the rain. But a young man was going in my direction with an umbrella. He saw that I couldn't go with an umbrella and offered me to take his one. I asked him: "And what about you?" He said that he would spend some time in the clinic and may be the rain would stop soon. I asked how I would be able to return him the umbrella. He said his address to me and his name. His name is Vladimir. It was not far from the clinic. I wrote down his address and promised to give him the umbrella the next day in the evening. On my home I thanked the young man and asked the God to stop the rain. But it was raining the whole night. I cursed myself that I had taken the umbrella and that he was wet to the skin because of me. I didn't sleep a wink at night. The next day in the clinic was so long for me. I was looking forward to finishing my work to give the umbrella back to Vladimir. I wanted to learn how he was. As soon as my working day was over, I changed my working clothes and left my work. Vladimir was standing at the door smiling. It turned out that he remembered the time when my work was over. He came to meet me. I asked about his health at once. He said that everything was all right. He didn't get too wet because he was running home. Then we walked for a long time. We talked a lot. My mum had died already and I was alone. He was the dearest and the closest man in the world for me at that time. He saw much of each other at time. But i didn't invite him my house I wanted to check him. Once we were invited to a Birthday party of his friend. I agreed to go to see his friends, as i wanted to know more about him. Vladimir didn't drink even champagne. I thought it was because of me, because I didn't drink as well. But his friends told me that Vladimir really didn't drink alcohol. I liked Vladimir. I think so did he. We became more than friends and he began to live in my house. First 2 months we were very happy, we were on the seventh heaven. But then he got a very good job. He became a lawyer. He made much money. But he began drinking alcohol. At first a little bit - then more and more. He didn't sleep at home at night. When he was drunk he began beating me. I thought he change for the better, that he would the same he had been before. But nothing changed. Once I was beaten by him bitterly and left my house. He didn't come back 9 days. Our friends told me that they had seen Vladimir with other girls. I came to the conclusion that it was enough to bear it. When he came back he even wasn't sorry and didn't apologize. I don't think that he had forgotten that he had beaten me. I didn't say a word in the evening. I started the talk in the morning when he was sober. So I made him leave my house forever. He was shouting, screaming and he even broke a photo in the frame where my mom and I were. I said to him that I would call a police, well he had gone. Forever. Now I am happy that I didn't marry him. Don’t want such relations once again. Almost all Russian men drink alcohol a lot that's why I don't want to have any relations with them. I suppose you understand me. I'm sorry my letter is too long. But I wanted to show you what I am feeling. I am very happy that I got acquainted with you. I hope our communication will never stop. Marina has told to you "Hi". I have to finish me letter. Thanks that you write me. With all my heart, your Olga. PS. By the way, I have overlooked to tell to you. Today carpenters have repaired my roof. I am happy! It is very little necessary for the lonely woman for happiness!!! (Smile) My roof was repaired by the same carpenter who repaired Klava door. PS. You do not send me your photo. Why? You again did not send the photo I am already angry at you!!! I would like to tell you that your letters bring me much joy and make me happier day by day! You are the dearest man to my heart, I am always looking forward to your letters. When I received your letter today, I was very happy. We are far away from each other now, but I am sure that we need each other, I am sure that the fact that we’ve met was meant to be. Who knows, maybe we are two halves of one? I can’t find words that can describe my feelings to you, you are making me the happiest woman in the world! I would like to thank you for your love and care, I know that you are serious and sincere with me, from my side I’ll try to do my best to make you happy. Because deep in my heart I feel that you are a very special man who is dear to my heart so much!